After losing four consecutive matches over spring break, Chicago went 2–1 this past weekend in Madison, WI, to improve its overall record to 8–8. “I think we learned a lot from our spring break trip in terms of mental strength. It really showed in our doubles against Hope,” said second-year Tiffany Chen, who played No. 2 doubles and No. 4 singles. It certainly did show as the Maroons, led by first-year Ariana Iranpour and fourth-year Megan Tang at No. 1 doubles, started the Midwest Invite with a decisive sweep on their way to a quick 8–1 victory against No. 22 Hope (12–4, 2–0). “We realized what a huge difference it makes to get an early lead on doubles and how much confidence it gives us. In both matches we won this weekend, we were ahead after doubles,” said Tang. However, the Maroons were unable to carry this momentum into their next match, losing to No. 11 Wash U (12–4), a team the Maroons had beaten earlier in the season. 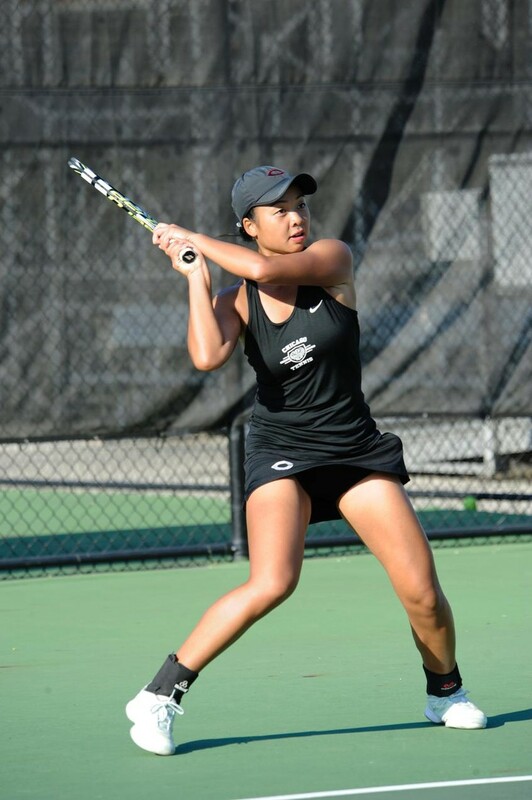 Singles play began before doubles play, and this, according to Chen, may have “changed the momentum of the match.” In their previous encounter, the Maroons took four of the singles matches against the Bears. This time around, they split the singles matches 3–3, with first-year Jasmine Lee winning at No. 3, third-year Lucy Tang winning at No. 5, and third-year Sruthi Ramaswami winning at No. 6. “They capitalized in doubles more than we did and played smarter points when the matches were close,” said Megan Tang. Wash U got off to quick starts and held on to win all three doubles matches, winning 6–3 overall, reversing their 3–6 loss to the Maroons earlier in the year. In the last match of the Invite, the Maroons faced a second rematch against rival No. 23 Case Western (9-6), who had beaten Chicago 5–4 earlier in the season. “[We were] keen on avenging our 5–4 loss to them earlier, so we were really mentally locked-in, and it paid off in our results,” said Chen. The Maroons fought for a 2–1 lead in doubles thanks to Chen and Courtney Warren winning 8–5 at No. 2 doubles and Ramaswami and Lucy Tang winning 8–5 at No. 3 doubles. This momentum carried over to singles, where the Maroons won 12 of 13 sets for an emphatic 8–1 victory to conclude the weekend. The Maroons won’t have much time to rest with an exciting few matches coming up, including another rematch against rival No. 11 Wash U on Saturday.